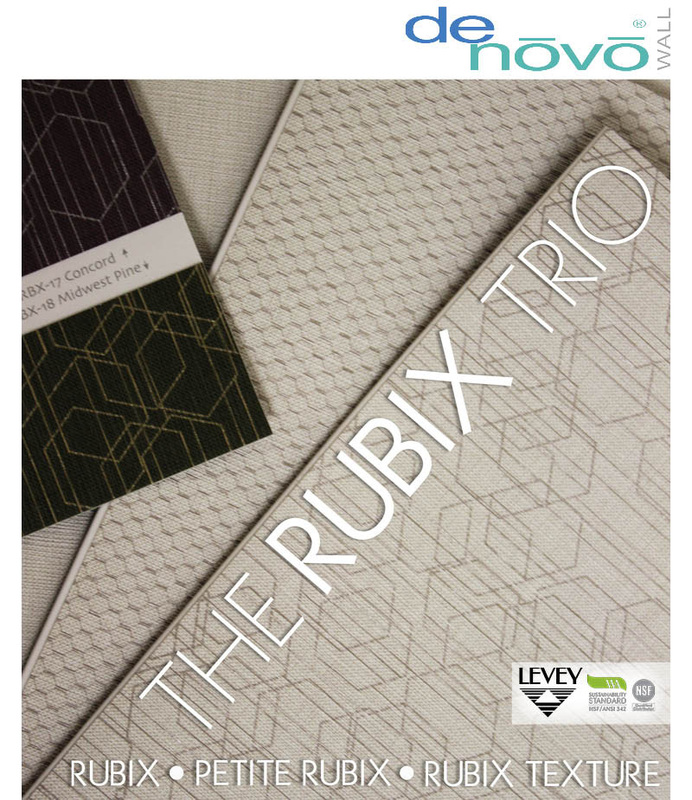 Watch our Rubix Trio Wallcovering videos. Introducing a scintillating new design trio of Type II Commercial Vinyl Wallcoverings from our DeNovo collection – Rubix, Petite Rubix and Rubix Texture, a trio of harmonious patterns in an eighteen colour palette of stunning neutrals and mid-century modern accents. Rubix – Drawing inspiration from the Cubism art movement of the 20th century, Rubix is comprised of crisp, clean geometric lines with a refined metallic lustre. Watch the video for a closer look into this stunning pattern. Petite Rubix – Use Rubix as a stand alone, or pair with the complimentary Petite Rubix, a subtle metallic ‘honeycomb-esque’ pattern. Watch the video to see the intricacies of this unique pattern. Ruby Texture – Acting as the visual element which ties the trio together is Rubix Texture – its quietly beautiful linen texture provides the base for its two corresponding patterns. Watch the video to see more of Rubix Texture’s subtleties.